Are UEFA to blame for Portsmouth's plight? The economic woes of Portsmouth Football club may have been partially self-afflicted by the procession of foreign owners who’ve kept the club on a downward spiral, but I wonder if UEFA, and, in particular, the Champions League, inadvertently bears some responsibility too? 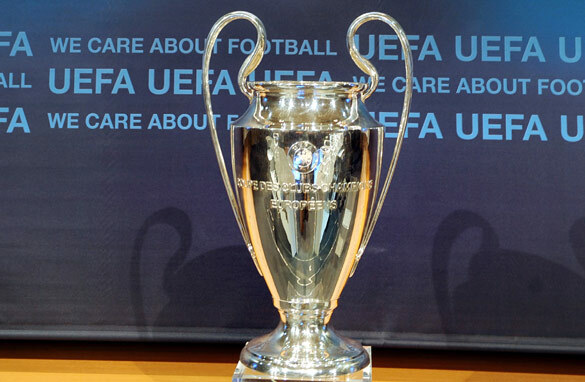 Is the chase for UEFA's Holy Grail putting more and more clubs into financial meltdown?. Yes I know Pompey have not been anywhere near the Champions League, as their best finish in the Premier League was 8th in the 2007-2008 season. And I also know that UEFA has been tut-tutting about the financial state of Premier League clubs since Michel Platini became president. But I still feel that UEFA may have been the catalyst to Portsmouth's downfall and that of other financially strapped clubs in England’s top-flight. Previously, UEFA’s top competition was known as the European Cup and featured only the defending European champions and current national champions. However, since it morphed into the Champions League in 1992, the format and eligibility requirements have gradually changed to the extent that now England and other leading nations get to send their top-four finishers into the competition. What’s more, with the expansion of the league came an increase in the money and prestige on offer by taking part. So much so that winning or being a top-four finisher in the English Premier League is no longer an end in itself but a means to an end, because it allows you to dip into the honey-pot that the Champions League has become. Thus, the Champions League is somewhat of a giant carrot. And ever since steel baron, Jack Walker, essentially bought Blackburn Rovers the title in the 1994-1995 season by financing a series of big-money transfers, English clubs, and others abroad, have been willing to gamble huge amounts of cash in the hope of taking a bite. Of course, only the biggest clubs have been able to take the risk, and then only with the help of mega-rich benefactors like Chelsea’s Roman Abramovich, or via financial wizardry. Even Barcelona are at a loss to know how Real Madrid have so much money to spend. However, poorer clubs still find themselves having to stump up for higher wages etc. because, if a top club in the same league is paying its players and staff silly money, that becomes the going rate. What’s more no club-owner wants to be seen as un-ambitious, even if the cost of failure is massive. The Champions League therefore has a trickle down effect on clubs with no hope of ever taking part in it, and the results are evident. However, as the tournament seems certain to remain the Holy Grail, Portsmouth's fate may soon be the fate of many. Though let's hope not. Maybe the fact is that England and Others really cannot afford to have 20 top tier teams. Football has long been a global sport, but only in the past 10 or so years have international club competitions become as important as the home league competition (Some may argue this, but look at the money, effort, and glory that goes with winning the Champions League). Maybe only 15 or so teams are really viable in the top tier. Actually, past the top 10, everyone else is pretty much just fodder to fill out the schedule. I think that contraction is the only way to deal with the inequality. Of course, maybe even Man U has over stretched its limits of fiscal prudence, though this may be uniquely inherent in having an owner of questionable commitment to the Club and football.